This renovated 4 bedroom Bungalow is a charming single family home conveniently located in the southside of Richmond. A unique floor plan gives you many living space options. Hardwood floors; 10' high ceilings; and 1920's architecture adds charm to your new home. This wonderful home is centrally located on the south side of Richmond between Belt Blvd and Hull Street, on the corner of E. Broad Rock and Holly Springs. A great location that is within walking distance of shopping, restaurants, schools, and the McGuire VA Hospital. Relax on the large country front porch. Bus Stop just steps from the front porch. Close to shopping and the VA Hospital. 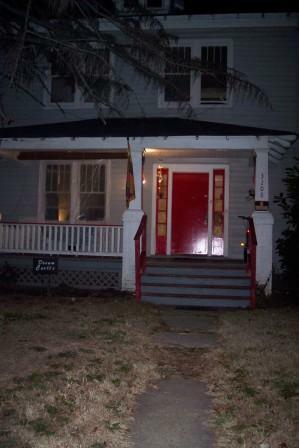 (1) RENTAL OPTION - NOW AVAILABLE: Rent this entire home; Furnished or Unfurnished; NO utilities included. (2) HOUSEMATE OPTION - NOW AVAILABLE: Rent a room and share this home with other like-minded people. (3) RENT-TO-OWN - NOW AVAILABLE: Rent this home with the Option to Purchase.